A power-hungry necromancer is seeking a world﻿﻿-﻿﻿ending artifact. Only the mage team can stop him— that is if the team members don't kill each other first. 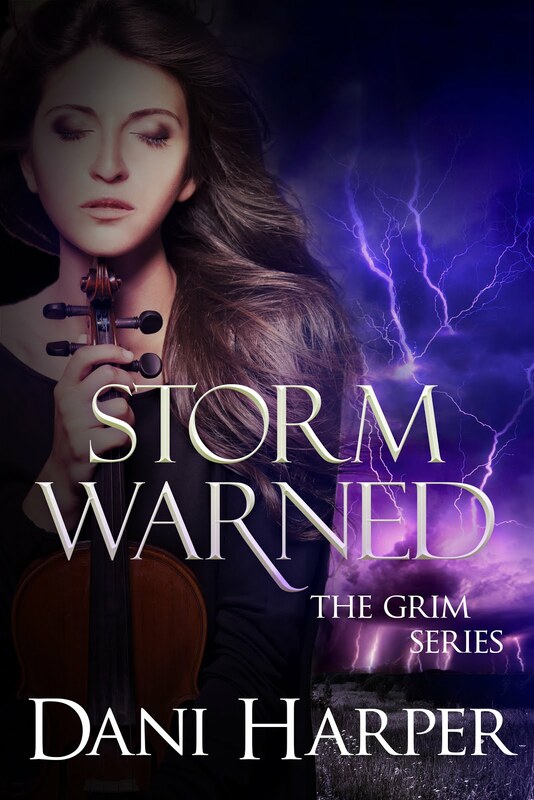 Slate Blackthorn is a vampire hunter who's ready for anything— except for being teamed up with a vampire. However, with the threat of an undead apocalypse looming, Slate and the rest of the mage team will have to learn to work together. The magical artifact is kept in an enchanted safe within an impregnable tower. To get to it before the necromancer, the team will have to overcome an assortment of challenges including mages with machine guns and fighting robots, lethal mindtraps and bloodthirsty demons. If that wasn't bad enough, Slate knows something the others don't. One of the team members is a traitor. 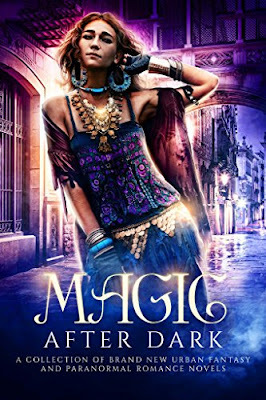 A magical heist story, Mission Impossible meets Dresden Files, The Mage Team is the first book in the Dragongods Saga, a new urban fantasy series. An unlikely team it put together to save the world from being overtaken by the underworld and the evil it contains. Slate Blackthorn is a hesling warrior gypsy whose life’s mission is to hunt vampires with the help of his familiar, Harps. Dnaielle is the hood mage who according to the Mages is not allowed to do magic. Her magic is a little unreliable but she’s the glue of the team. 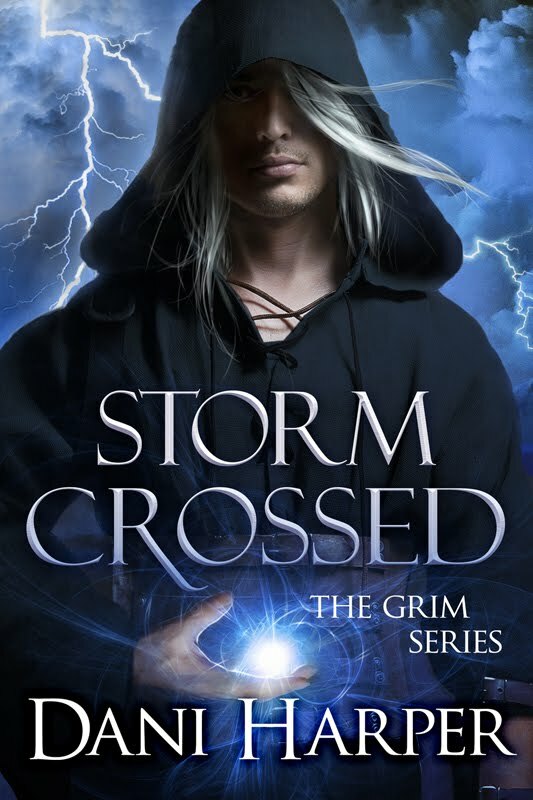 Lionel is a Cressington Mage but has walked away from his family to join this team and fight for the survival of the world along with his girlfriend, Alessa who is a vampire. To round out the team is Gabriel. There are a lot of mysteries and secrets surrounding him even though he’s the leader of the team. When push comes to shove each member of the team will have to decide if they can trust each other and work side by side even though some are enemies. 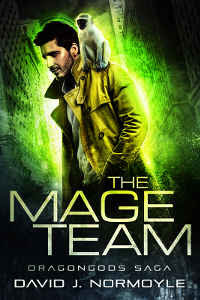 The Mage Team is the start of a new series by Normoyle and the first book of his I have read. 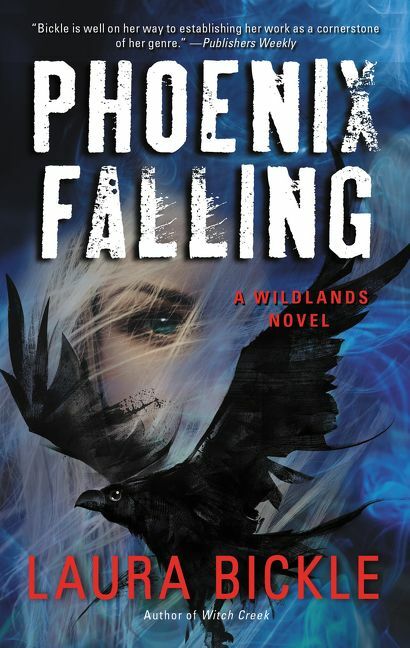 The story was well written and not too predictable, which kept it interesting. 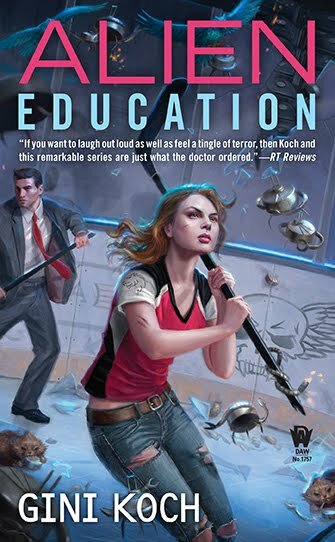 In the world of urban fantasy sometimes stories all sound alike but this one was unique and different, which was refreshing. I look forward to the next book in the series. Unbridled sparks of energy and joy, the gypsy children ran, lost in their play--all except for the two who stood apart, their gazes watchful, their backs straight, their skin glowing with a faint green shimmer. Despite their reserved postures, I knew those two craved to join in and play with the other children, to revel in the chaotic screaming and shrieking where the only boundaries were those limited by the speed of little legs. I glanced down at my hands, examining the green glow on my own skin; I had been just like those two, standing aloof but aching to run and jump and shout with my young peers. Our power was too raw and dangerous, though. Dagger had drilled into us that we were the unheralded saviors of the human race and that we had to be willing to sacrifice everything. *Everything, including our childhoods,* I thought wistfully. Only other helsing warriors could see the green auras, and at that moment, one of the two children spotted me and leaned across to whisper to his friend. They studied me for several heartbeats, then ran toward the wagons. The speed of one momentarily exceeded what should have been possible, then he remembered himself and slowed to normal speed. I quickened my step, moving past the area where the children played. Colorfully painted gyspy wagons were arranged in a wide circle with ropes between them marking off the area of the fair. Inside the circle, tents of various shapes and sizes vied for attention. It was a cloudy day, and the ground underfoot was wet and muddy, but that didn't dim the vibrancy of the occasion. Uptempo musical notes floated through the air, punctuated by raucous shots . As I got closer, a knot of tension tightened in my stomach. A semi circular board hanging from a tree with the words Gypsy Fair scrawled across it marked the entrance, and several people were lined up to pay the five dollar entrance fee. I walked straight past the line. A woman moved to intercept, then got a better look at me and changed his mind. A small body squirmed against my stomach, then wiggled its way up the underside of my hunting coat, popping up past my collar. *You get that sense of home, too, boy, don't you? * I asked Harps. After several days of bus journeys and sleeping in depots, it felt good to see familiar sights and sounds. I took in a deep breath, soaking in the familiar scents--the linseed oil that preserved the wood of our wagons, the distinctive yeasty smell of home-cooked bread, the sharp acidic smell of the dye used to brighten fabrics. Harps settled on the top of my shoulder, and he grabbed a lock of my hair. *Why are you scared, Slate? * he thought. *Is there going to be a fight? * Harps was my familiar, a small monkey who had made his home in the inside pockets of my yellow hunting coat. His thoughts weren't in words; we communicated via projected images and emotions. However, I had become so used to the process that I automatically translated it all into words in my mind. *But we are among friends,* Harps thought. *This is a Hawke caravan,* I thought. A non-helsing wouldn't notice any pattern on the colorful pictures that decorated the wagons and signs. For me, though, the occasional presence of hawks screamed out the family name. Each helsing family had their own signature element relating to their name. On our wagons, painted thorns, usually black, twisted around and through many decorations. *Dagger doesn't like the Hawkes, does he? * Harps thought. *He certainly doesn't. * When Dagger had told me to pick up final instructions from the helsings caravan in Fairmount Park, he mustn't have known it was one of the Hawke's. He wouldn't have stood for that. We walked past a group of fiddlers who danced while they played, mixing laughter and banter with their music and song. Not far away, a strongman raised a chair in each hand, a giggling schoolgirl strapped into each seat. Beyond him, two jugglers tossed bowling pins to each other, with acrobats somersaulting between the path of the pins. Teenage helsings moved through the crowd with hats in hand, accepting tips. I didn't notice any others with a green aura, but I knew they would be around. Someone had to be training the youngsters I had seen earlier. The fortune teller's wagon sat between two maple trees, and I turned in that direction. Then, out of the corner of my eye, I spotted a man jogging in my direction, a green shimmer surrounding him. I ignored him, focusing on my destination. I didn't get far before he stepped directly across my path. "My name is Lighton Hawke," he said. "Good for you." I stepped off the path and onto the grass to avoid him. He slid across so he blocked me once more. Not far away, the two children who I'd seen earlier watched from behind a small bush. They had obviously alerted Lighton to my presence. "It's rude not to say hello, friend," Lighton said. He wore a hunting coat similar to mine except a faded brown color instead of yellow, and red shaggy hair covered his chin and cheeks. The beard made his age difficult to judge but he was likely in his late twenties. We were close enough that our auras almost touched. His grin was overly friendly and overly familiar. I was already disposed to dislike him even before he aimed that smarmy grin my way. Harps, sensing my intentions, leaned closer to my head, tightening the grip of his toes on my shoulder. I lowered my right shoulder and rammed it straight into Lighton's chest. He flew through the air, and landed several paces away, sliding along the wet grass and splashing up mud. "I'm a Blackthorn," I told him. "I'm certainly not your friend." Even planted on his backside with mud splattering his face and clothes, the grin hadn't left Lighton's face. "You're a strong one, aren't you?" I turned away from him and continued toward the fortune teller's wagon. Prickles ran up my neck as I sensed him watching me. Even from a sitting position, he could be on me in seconds--I was well aware of the speed he was capable of. I didn't turn. If he decided to attack me, it was his funeral. I didn't fear anyone or anything; I certainly wasn't afraid of a Hawke. These heroes and heroines are redefining the meaning of their lives...and the villains are about to get what's been coming to them. Journey from the hills of Ireland to Victorian England, from medieval Italy to eighteenth century Egypt, from the United States to the sand-baked Middle East and beyond to explore forbidden magic, navigate the pitfalls of ancient prophecies, battle vampires and shifters, and defeat evil sorcerers and hellish demons. 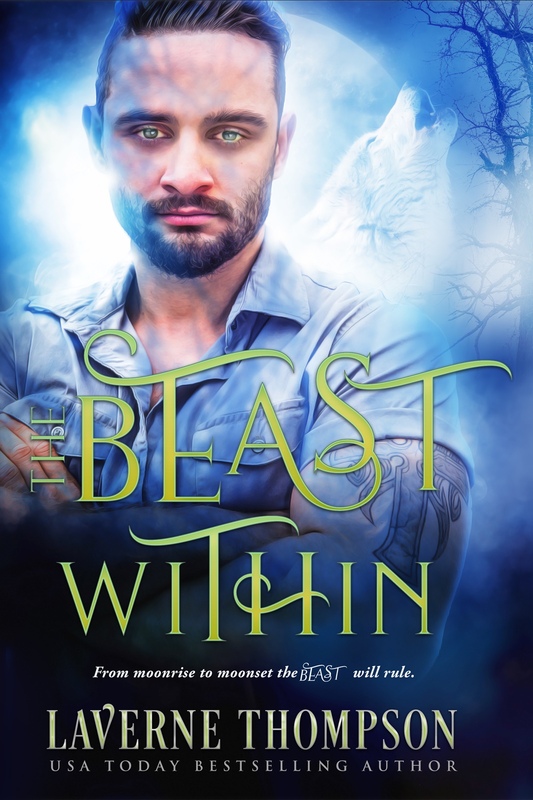 This unique collection, inspired by the ability to empower yourself by redefining your identity on your own terms, contains over one million words of captivating urban fantasy and paranormal romance fiction that's guaranteed to keep you up long after dark. Discover worlds where heroes roam and magic reigns with twenty-three brand new works from today's New York Times, USA Today, and international bestselling authors.